It would be an exciting new development, if it does comes to fruition. 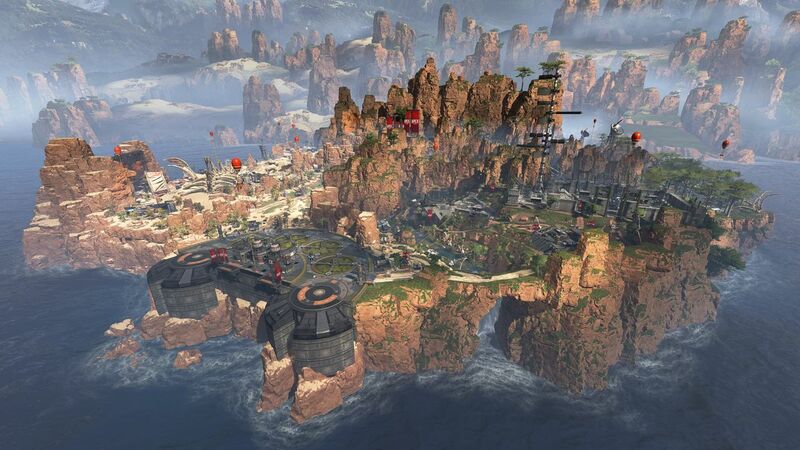 Respawn Entertainment’s Apex Legends is in a rough patch. The battle royale shooter had a colossal first month, surpassing 50 million downloads, and beating viewership records on Twitch—but it’s hit a brick wall. Players and streamers alike were anticipating the first season of Apex, but since its release on Tuesday, some have been left with a sour taste in their mouths. The new battle pass has caused a rift in the community and its lack of new content is causing players to lose interest in the game. Respawn have actively tried to take the Fortnite approach to its battle royale—regularly adding new features and updates as the game progresses, but some don’t think its enough. Respawn already followed through with a battle pass, a new character, Octane, and an arsenal of weapons—but it looks like there could be something even bigger in the works. A “map selector” would suggest Apex has two maps, which definitely isn’t currently the case, and a “survival map” is another feature missing from the live version of the game. It’s difficult to explain what these new files could mean, if not a new map. In the past, leaks of this nature have come to fruition, but still—nothing has been confirmed by Respawn. Everything is speculation at this point and it could all just be coincidental. The leaks, however, shouldn’t be taken lightly. There is still merit to their legitimacy.